Working cows in Muddy Creek on the Northern Cheyenne Indian Reservation in Montana keeps Ryhal Rowland connected to the land and to her love of agriculture. Rowland, 30, is a fourth generation cattle rancher and member of the Northern Cheyenne Tribe. She was born and raised on the 444,000-acre southeastern Montana reservation that is home to the Northern Cheyenne people. Her paternal grandfather gave Rowland her first two bred cows in the fall of 2015. In the spring of 2016, Rowland received a microloan through her local USDA Farm Service Agency (FSA) service center to purchase a herd of Black Angus cow-calf pairs and a bull. Her late maternal grandfather taught Rowland everything she knows about cattle production. She was the oldest granddaughter and was fortunate to work alongside her grandpa while growing up on the rural reservation. Her grandfather died two years ago. While she's carrying on a long family tradition in the cattle industry, Rowland brings her own style and flare to her operation. With a Bar MC brand, her cows stand out with pretty pink ear-tag identifiers. She says she appreciates the opportunity to purchase her first herd through FSA's microloan program. Since 2013, the microloan program, a relatively new program to FSA, has been hugely successful, providing simplified low-interest loans to agricultural producers across the United States. Microloans have helped farmers and ranchers like Rowland with operating costs, such as feed, fertilizer, tools and fencing and with capital purchases such as livestock, machinery and equipment. Earlier this year, the microloan program expanded to include farm land and building purchases, and soil and water conservation improvements. For the past five years, Rowland has served as the Northern Cheyenne Reservation Extension Agent through the Federally Recognized Tribal Extension Program. Her efforts focus on community-based youth and agricultural education and development on the reservation, which encompasses two Montana counties neighboring the Crow Reservation on the west and the Tongue River to the east. According to tribal enrollment figures, there are more than 11,200 enrolled Northern Cheyenne tribal members, of which about 5,000 reside on the reservation. As tribal extension agent, Rowland is instrumental in assisting USDA with ongoing outreach efforts on the Northern Cheyenne Reservation. This year, Rowland participated in and helped recruit producers to attend the USDA Tribal Outreach Forum in Bozeman, Montana, in March 2016 and provided key feedback to USDA at the agency's StrikeForce Listening Session held on the Northern Cheyenne Reservation in October 2016. The StrikeForce Initiative for Rural Growth and Opportunity expanded to the state of Montana in 2016. It is a multi-agency initiative that works to better connect USDA programs and services to high poverty communities. Community education is a line of work that Rowland says she has long admired. One of her neighbors had served as tribal extension agent, and Rowland saw firsthand how important extension and 4-H and FFA advisors are to rural communities like her own. Rowland, who graduated from Colstrip High School in 2004, attended the local tribal college, Chief Dull Knife College, after high school. She attended Montana State University (MSU) in Bozeman on a full-ride scholarship from Western Energy and received a Bachelor of Science degree in Agriculture Education Relations in December 2008. After graduating, she returned to her reservation, completed an internship and worked at the tribal college before she started the position as the Reservation Extension Agent in 2011. Rowland also represents the Northern Cheyenne Tribe as the tribal delegate to the Intertribal Agriculture Council Rocky Mountain Region. 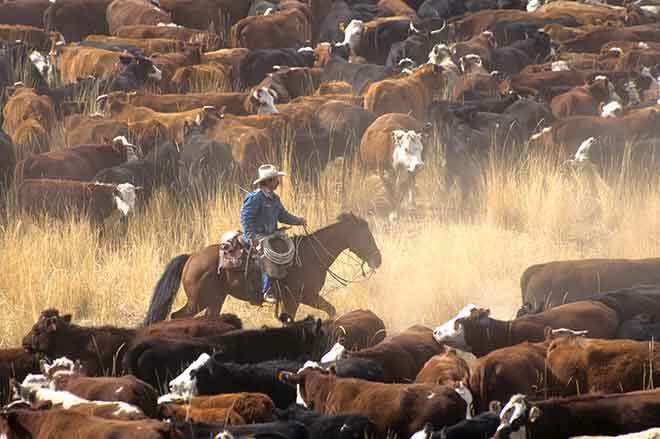 Despite low cattle prices, Rowland remains optimistic. Carrying on the family ranching tradition that her grandfather worked so hard for is in her blood and her heart. To learn more about how USDA assists new farmers, visit www.usda.gov/newfarmers. For more information on the FSA microloan program, visit www.fsa.usda.gov/microloans or contact your local FSA county office. To find your local FSA office, visit http://offices.usda.gov. 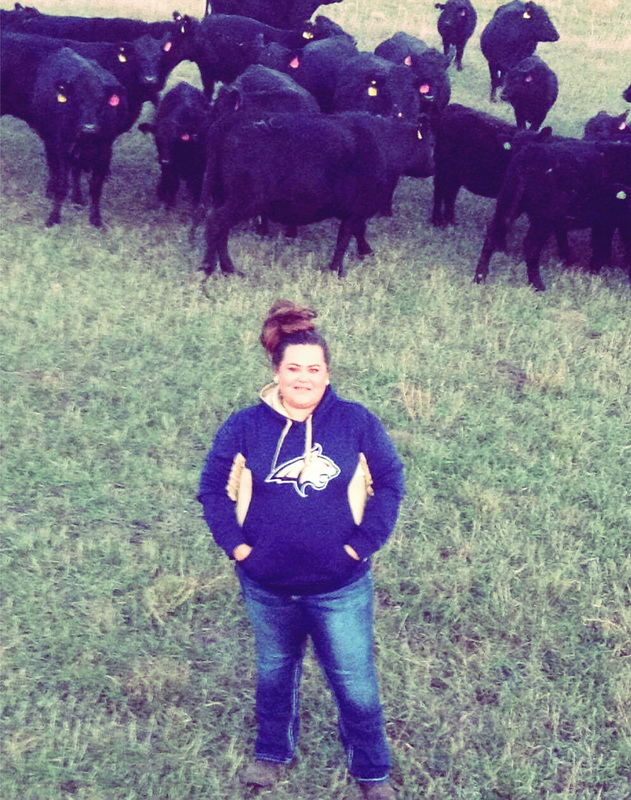 Photo: Fourth-generation cattle rancher Ryhal Rowland used the FSA microloan program to expand her cow-calf operation on the Northern Cheyenne Indian Reservation in southeastern Montana.